Brighten up your home with our lighting range. From mood lighting to accentuate your living spaces to functional lighting for outdoors and DIY tasks, our torches, lamps, lanterns and lightbulbs help light the way. We have budget bulb multipacks to help you save and specialist torches and task lamps to assist you with any job, anywhere. Whether you want to light up your desk space, fill a room with warmth, or highlight a focal point in your home, our lightbulb range will help you get it just right. Our LED bulbs come in a range of styles and fittings and light your home more efficiently. Screw in and bayonet LED bulbs produce a warm white light and make the perfect replacement for less efficient incandescent bulbs. With a lifespan of up to 15,000 hours, they’re also built to last. Our GU10 LED spotlights deliver full, instant light while saving you energy. Ideal for highlighting particular areas around the home, they’re also dimmable to create softer light when needed. Offering a long lifespan, they’re kinder to the environment, and come in double and multipacks for even better value. Our functional lighting helps you tackle tasks around the home and outdoors in safety. Lanterns, bat wing lights, head lamps and task lamps provide targeted light without straining your eyes. 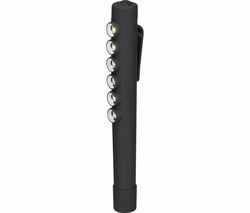 Our extensive selection of torches includes LED torches, designed for long-lasting functionality while delivering the intensely strong light beam you need. Torches from LED Lenser and Elwis come with clever tech to make jobs easier, including touch activation, belt clips, rubberised grip to prevent slippage, and adjustable beam angles. Adjustable beam strength gives you plenty of lighting options, whatever your task, allowing you to switch between wide flood beam and more intense spot beam easily with just one hand. If you’ve joined the smart revolution, take a look at our specialist smart lighting section, including the latest WiFi-controllable Philips Hue bulb range.